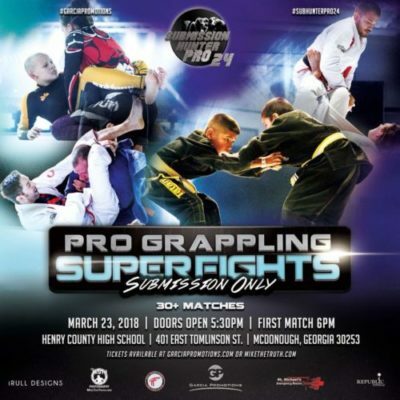 Submission Hunter Pro makes its way to the ATL for Submission Hunter Pro 24. The event take place on March 23, and will be held at Henry County High School in McDonough, Ga. The event features grapplers ranked from blue to black belt, as well as kids and teens. Check out the full card below. You can support the grapplers by purchasing your tickets here at MikeTheTruth.com.